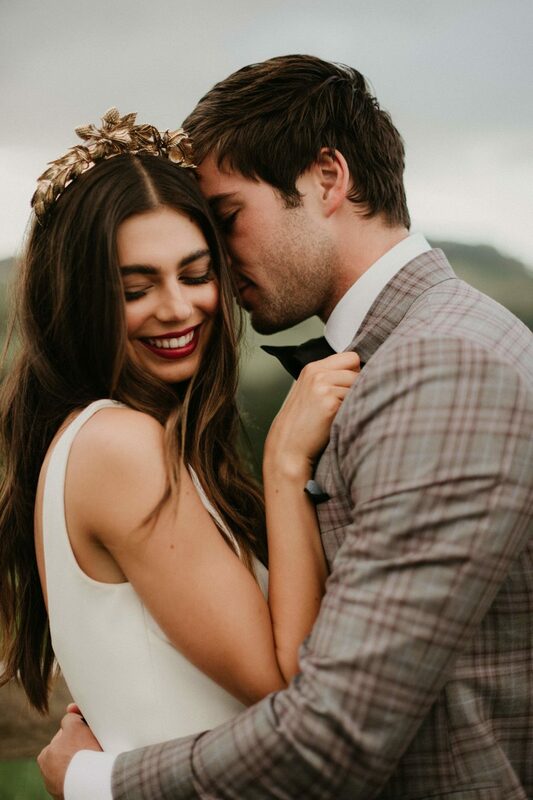 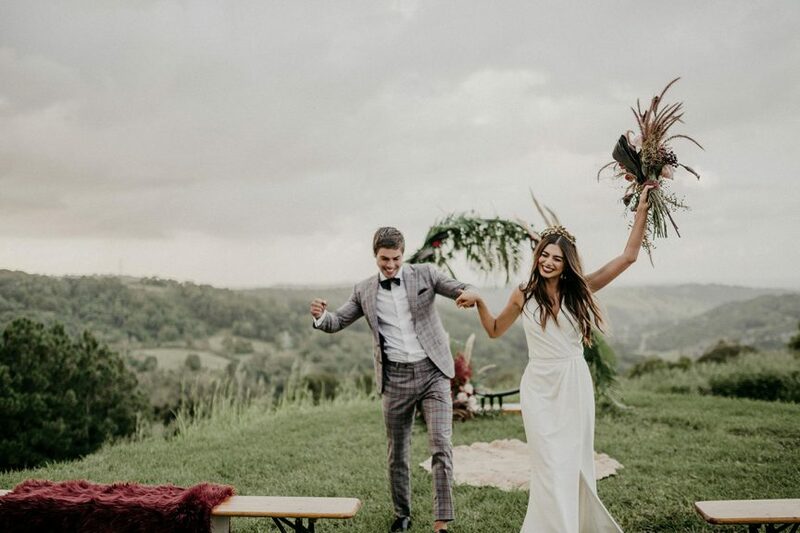 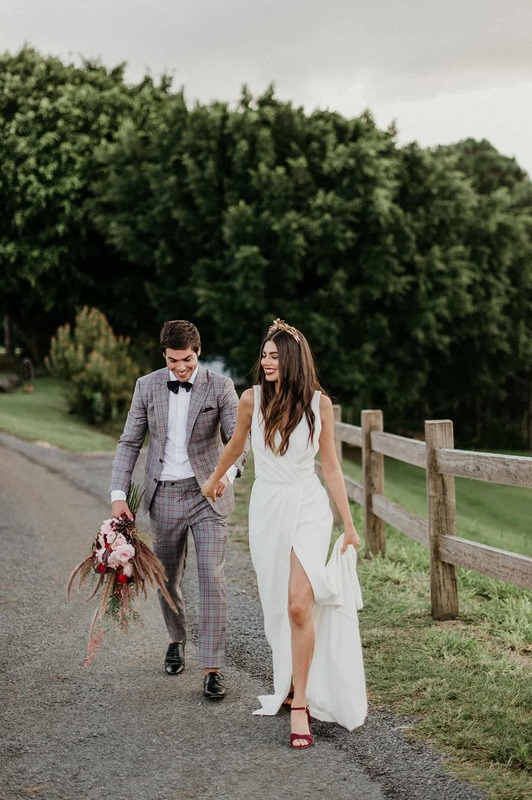 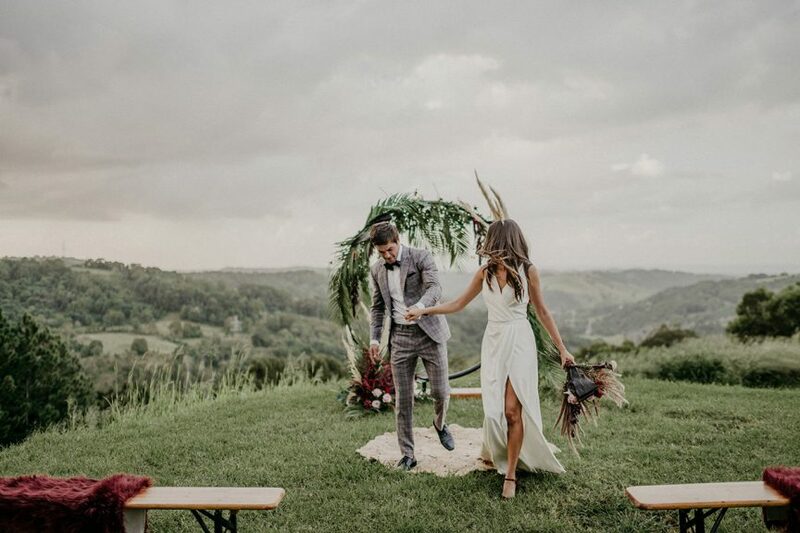 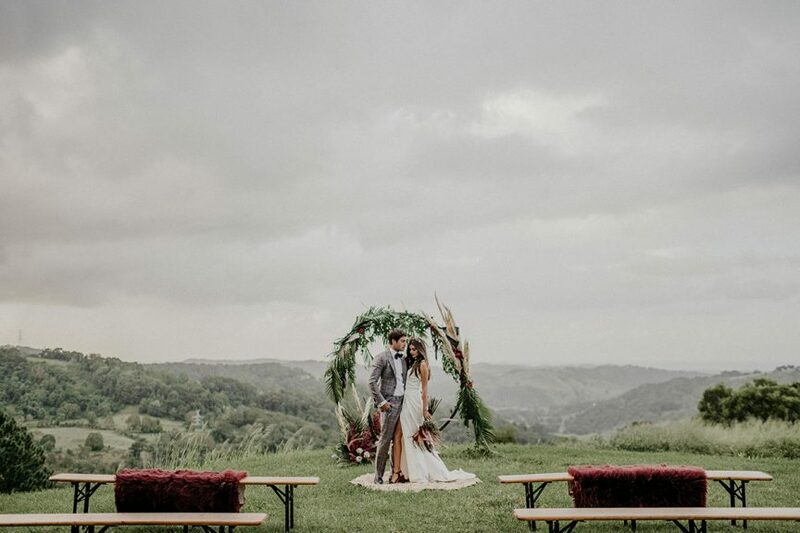 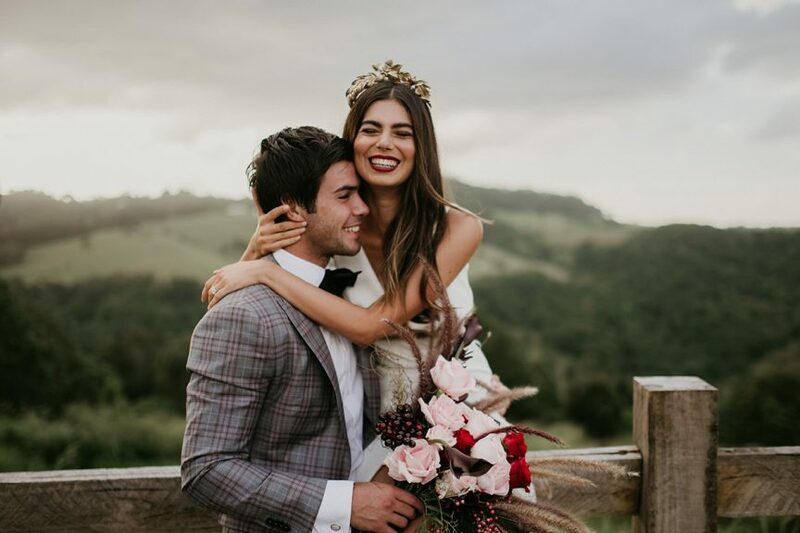 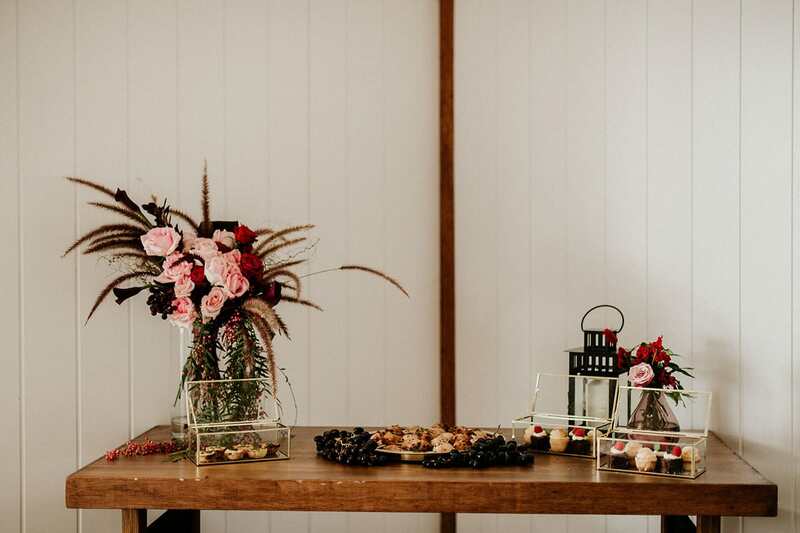 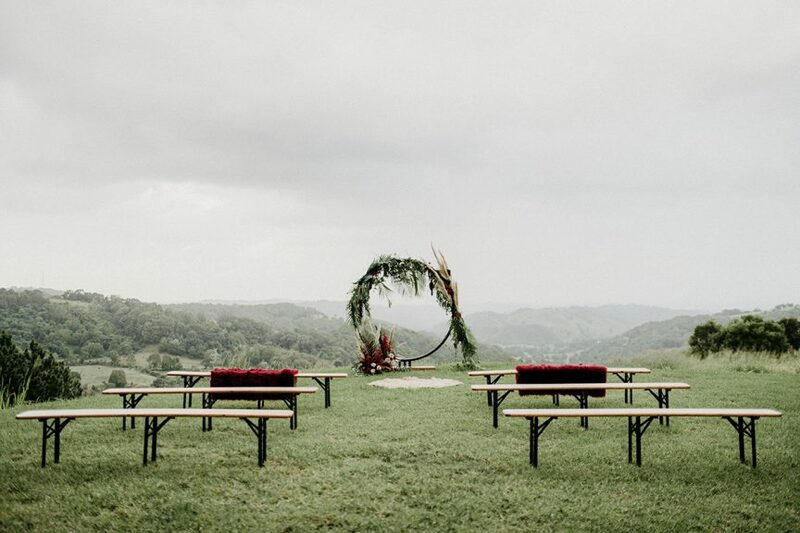 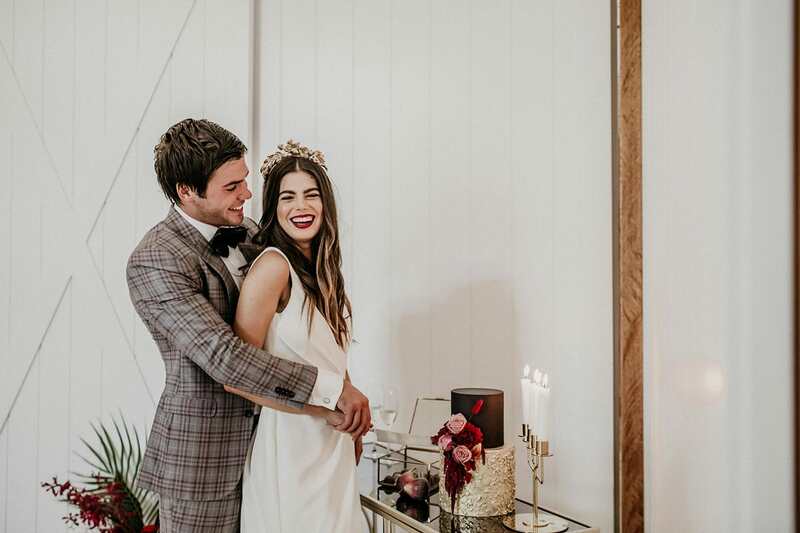 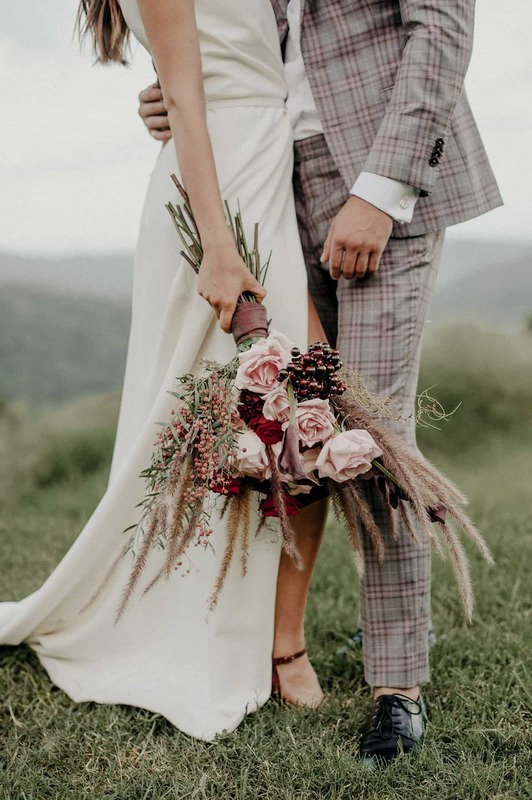 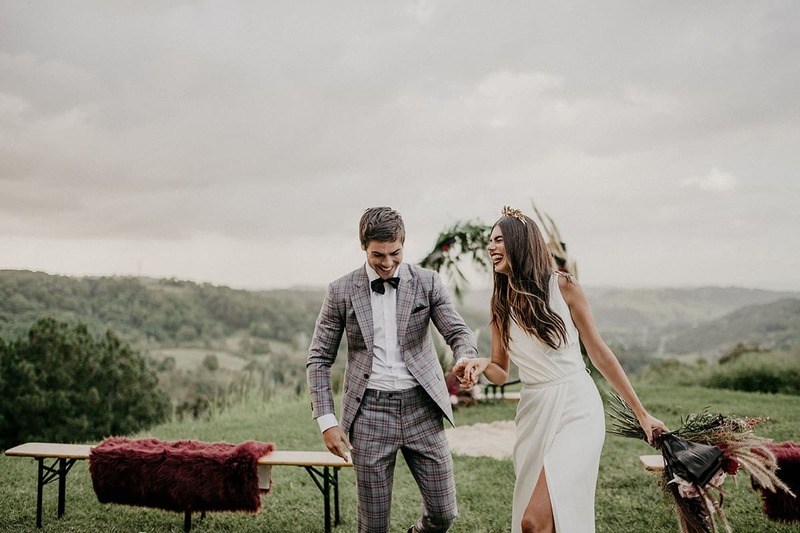 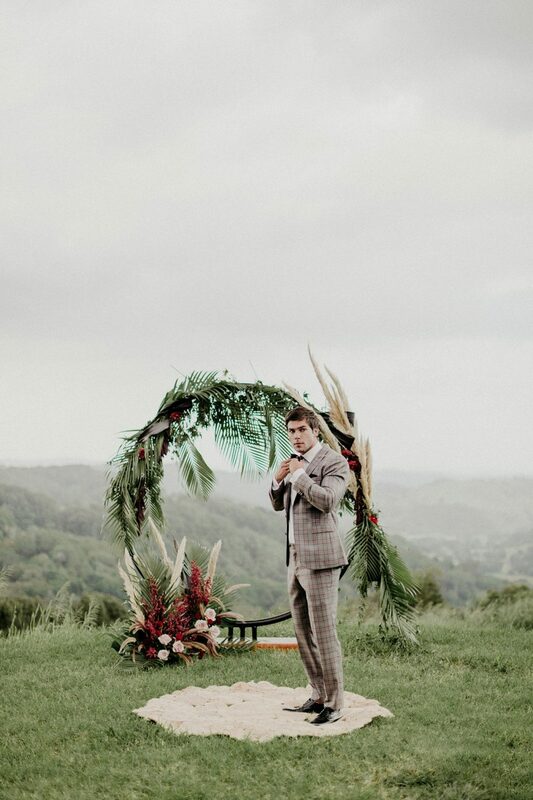 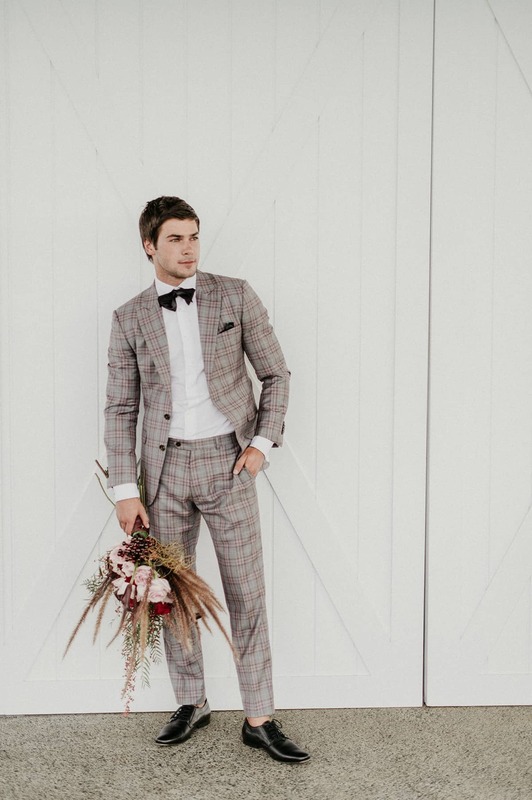 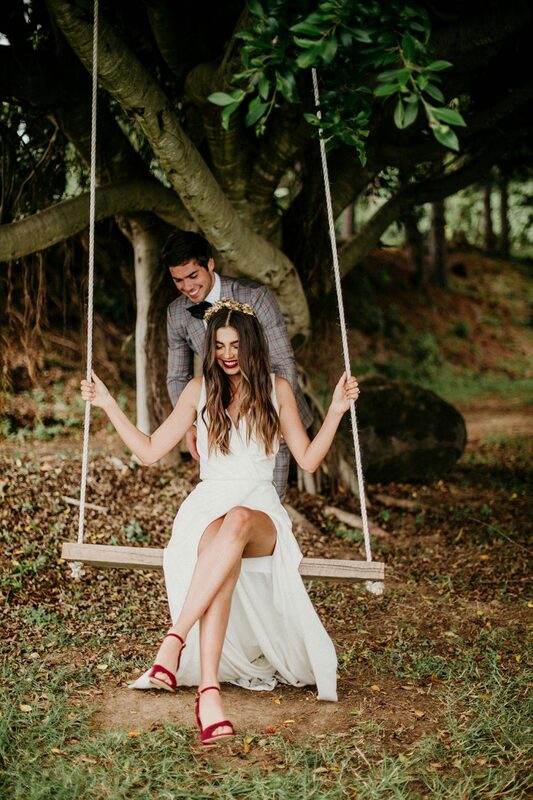 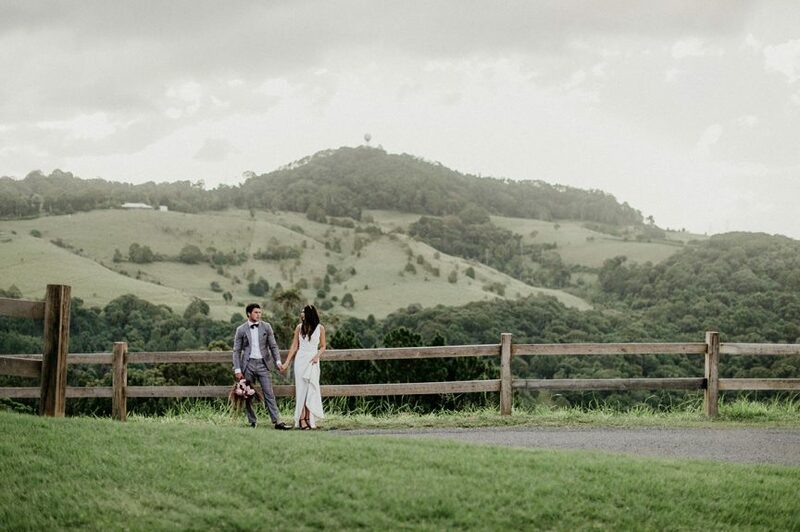 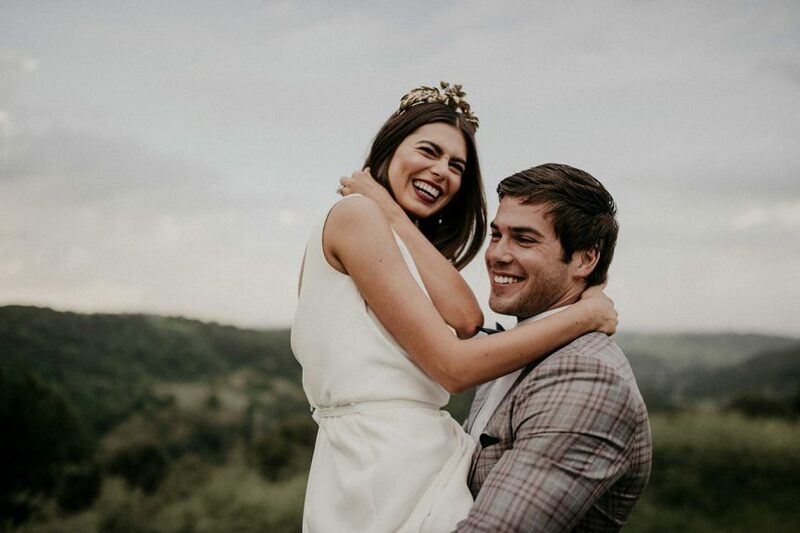 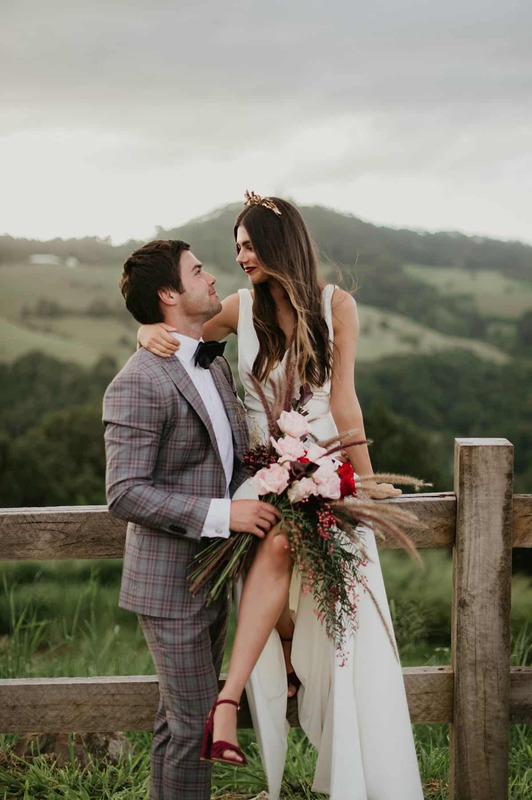 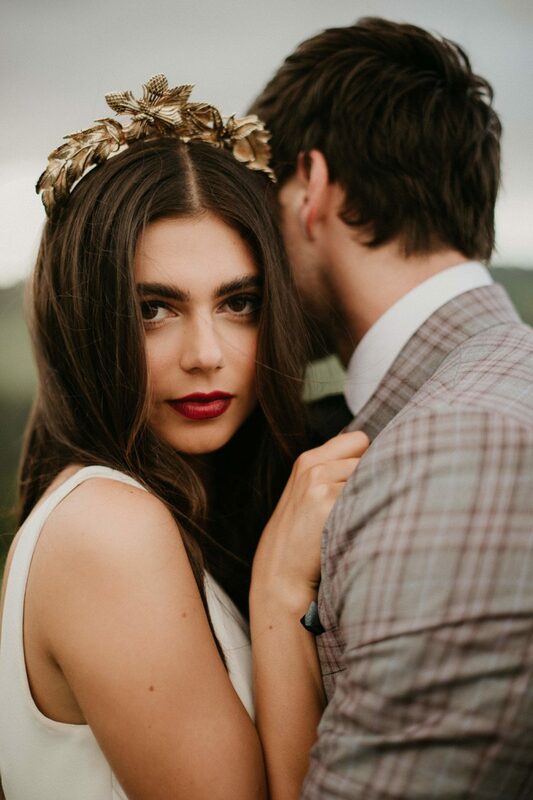 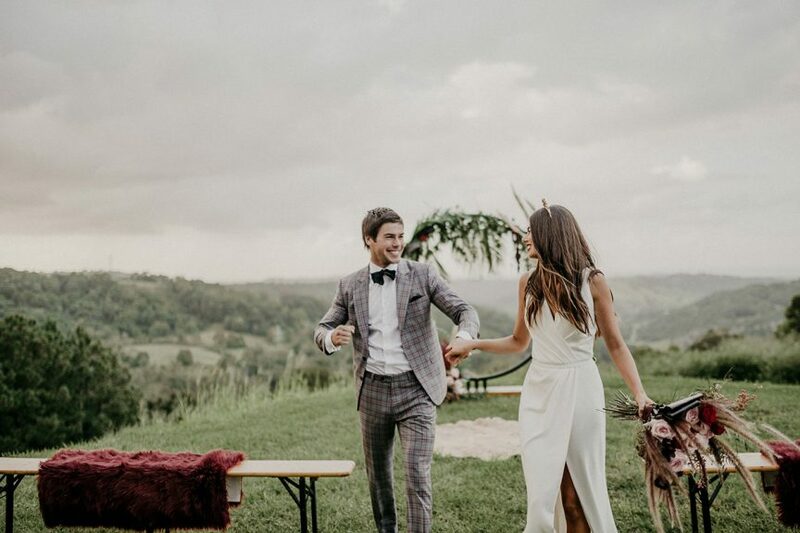 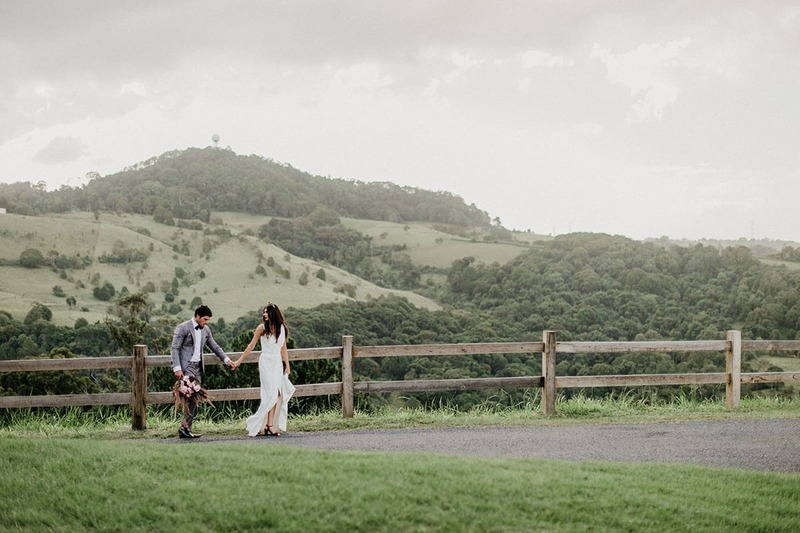 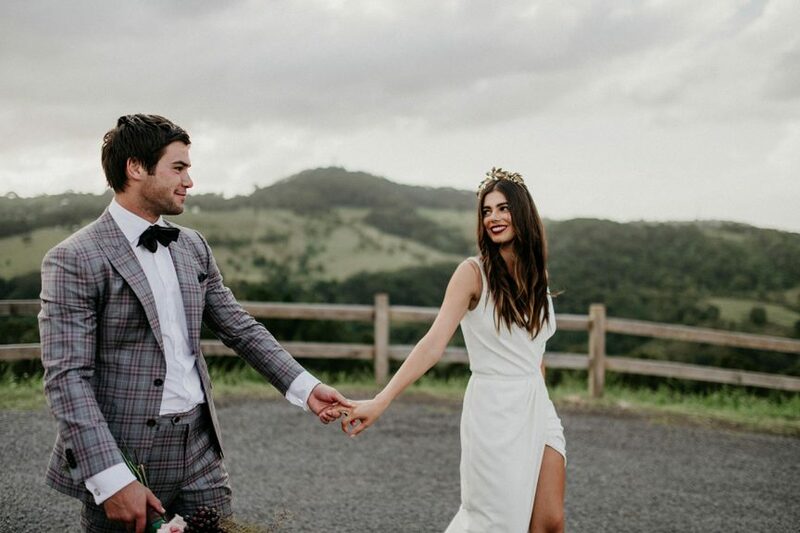 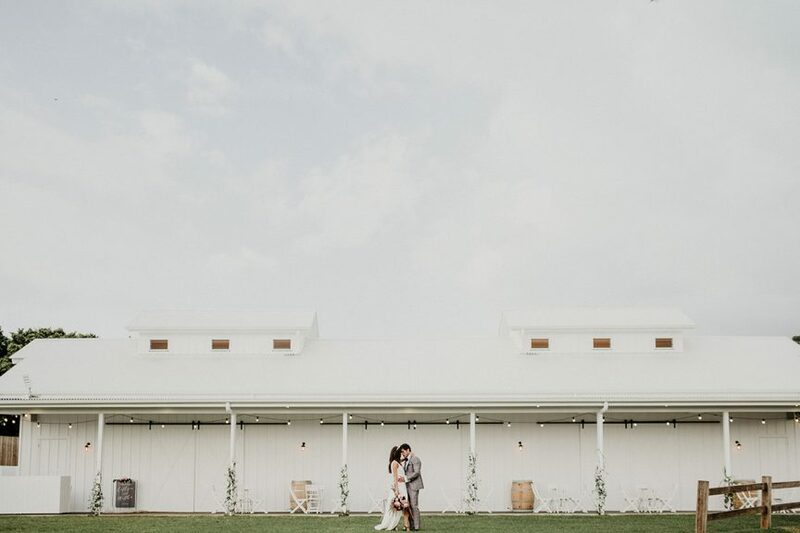 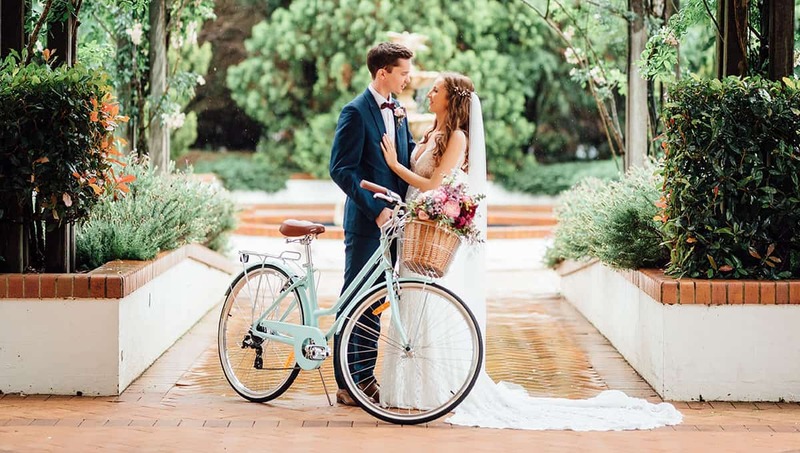 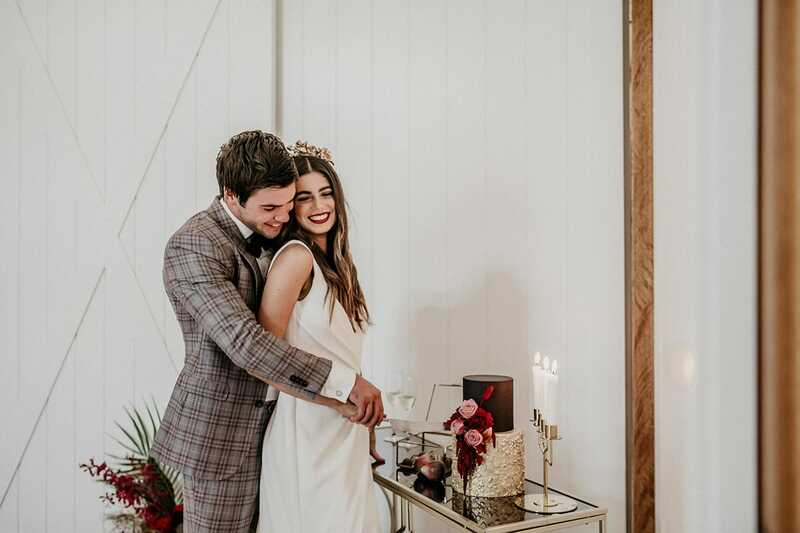 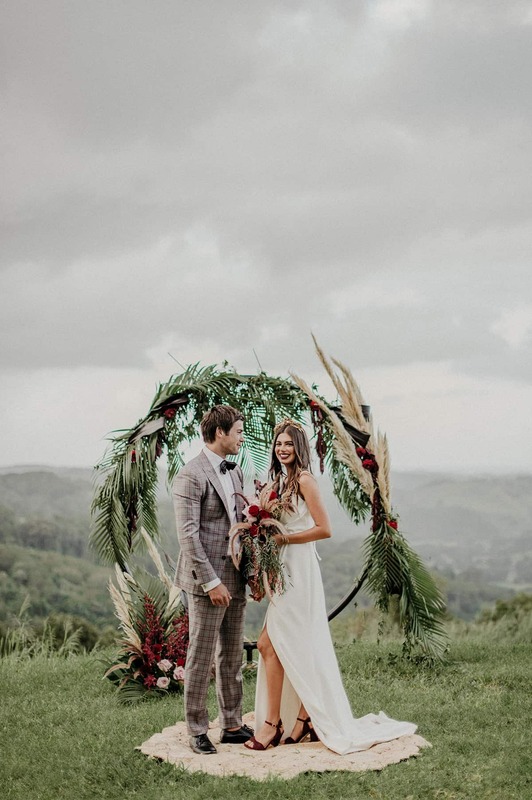 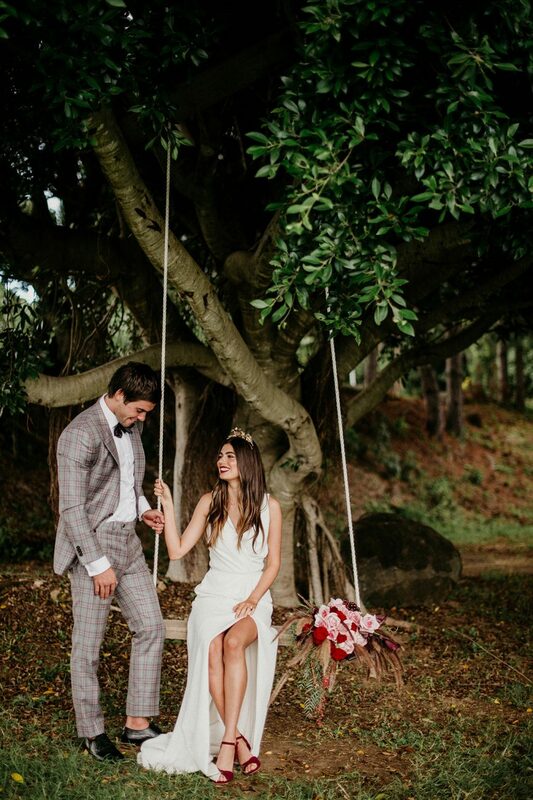 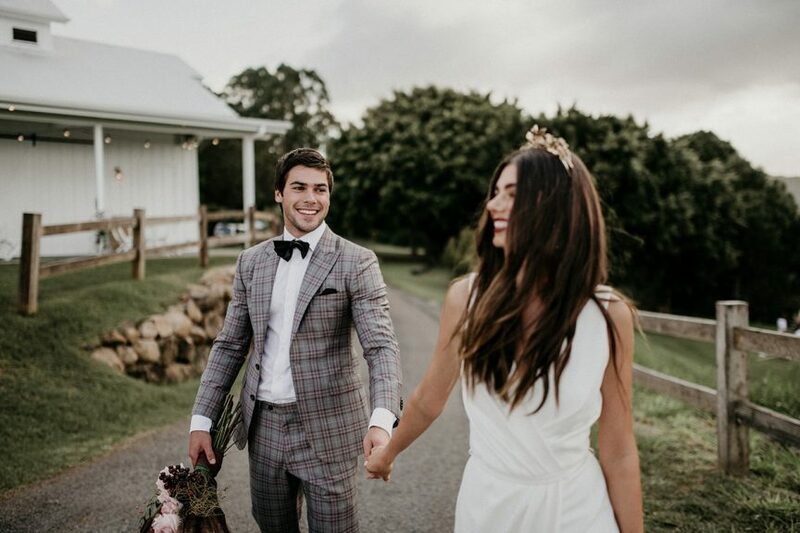 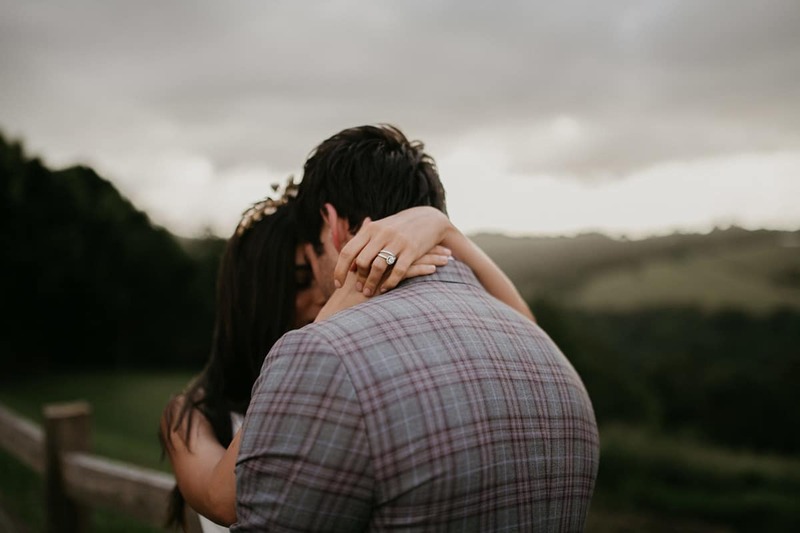 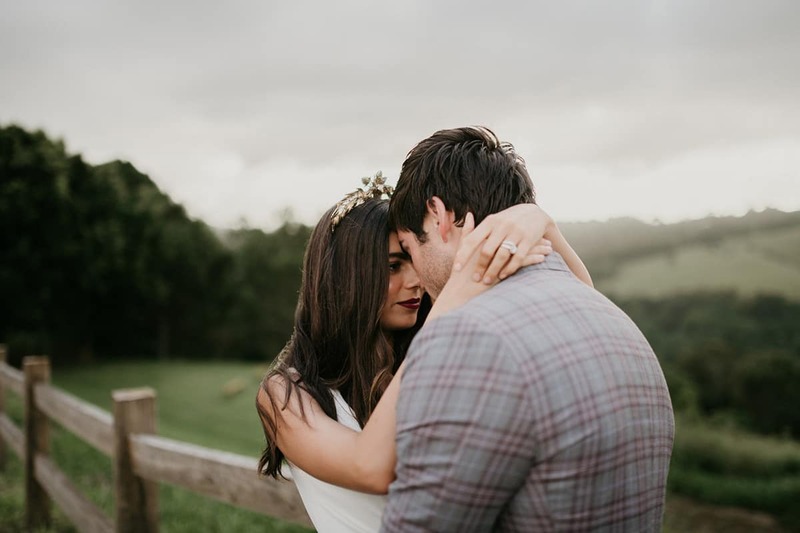 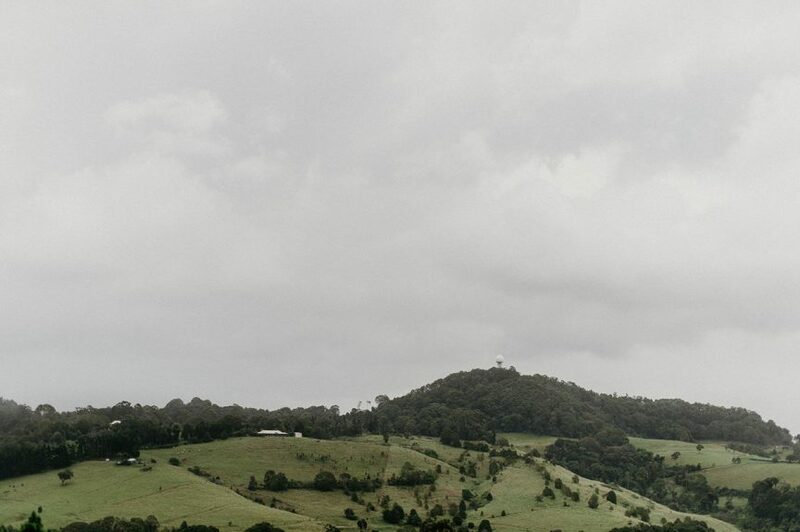 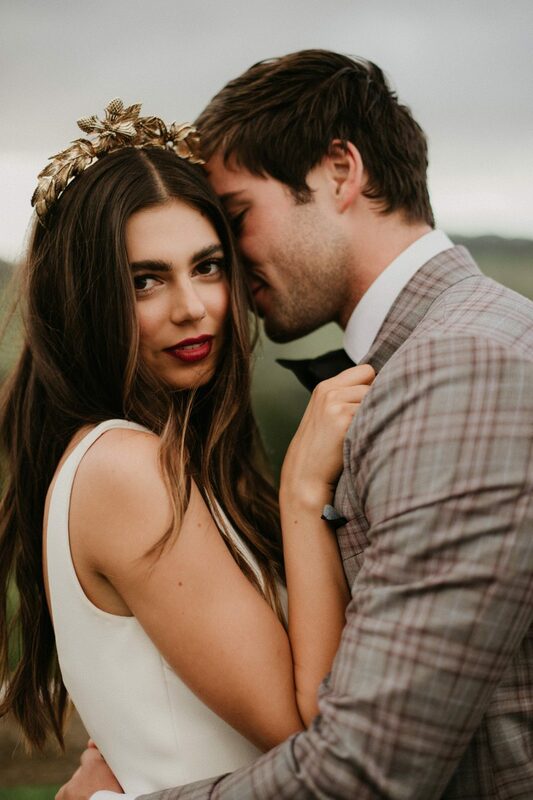 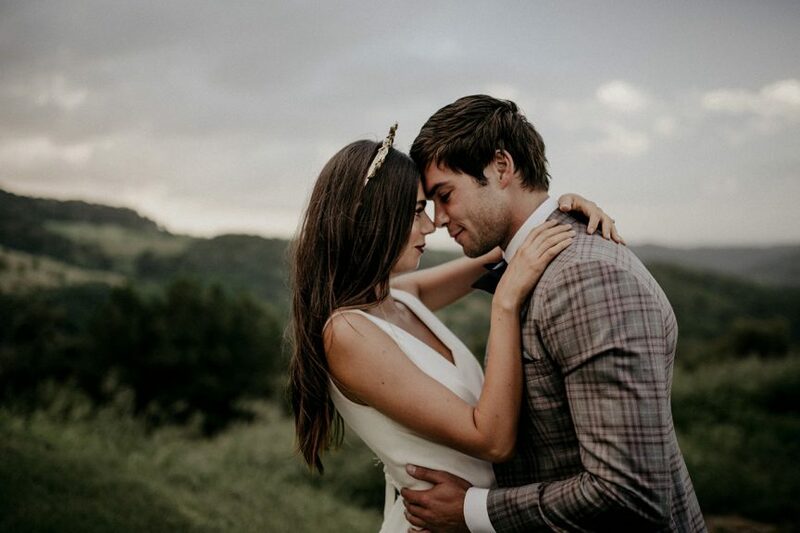 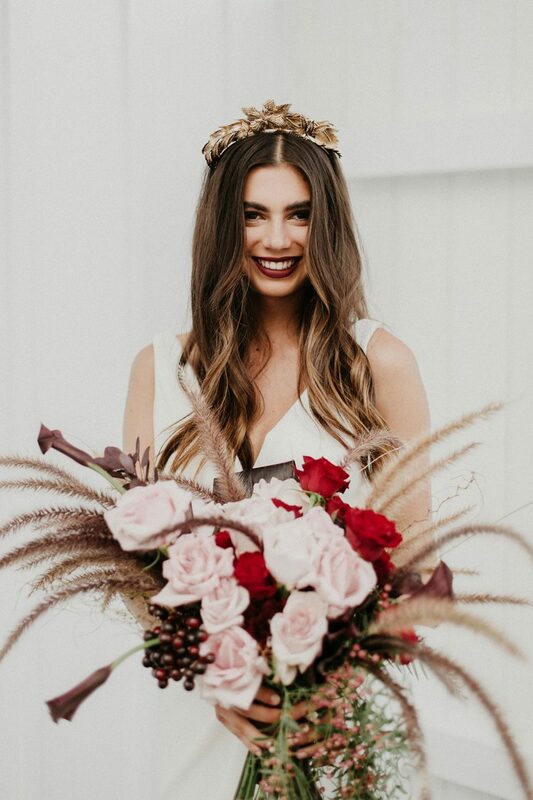 Rich red roses, rolling green hills and a couple in love: this sophisticated shoot at Summergrove Estate in Northern NSW has us seriously daydreaming. 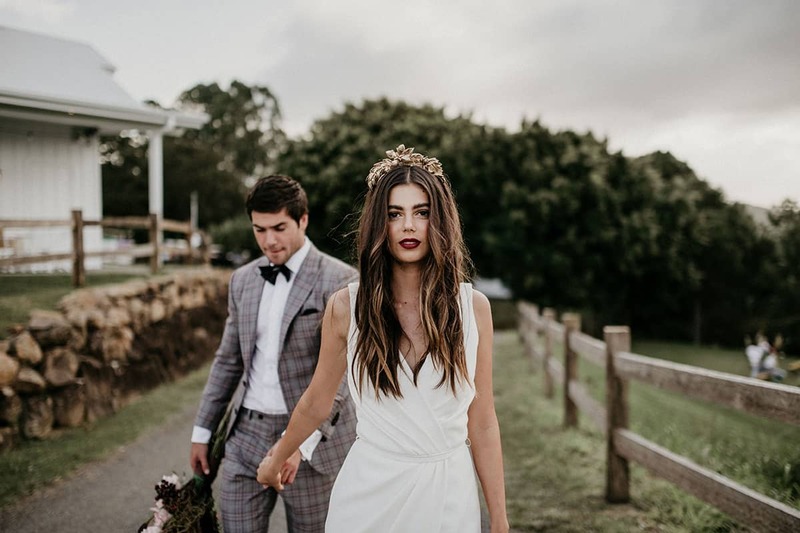 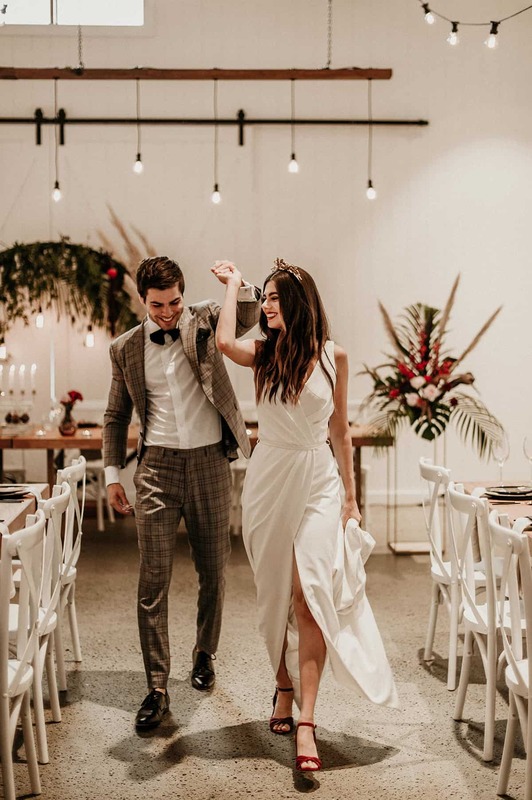 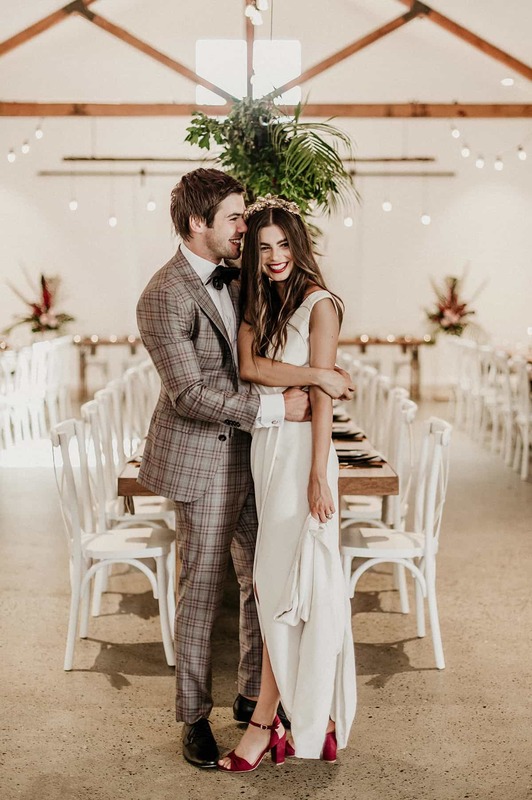 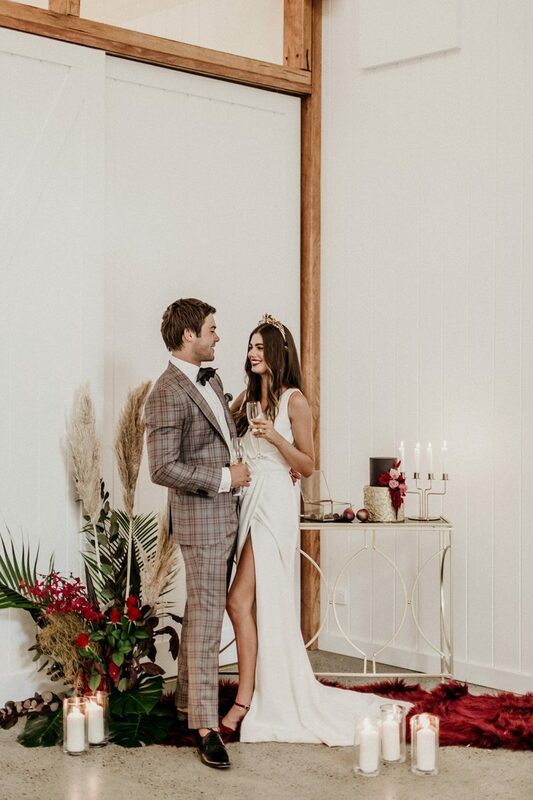 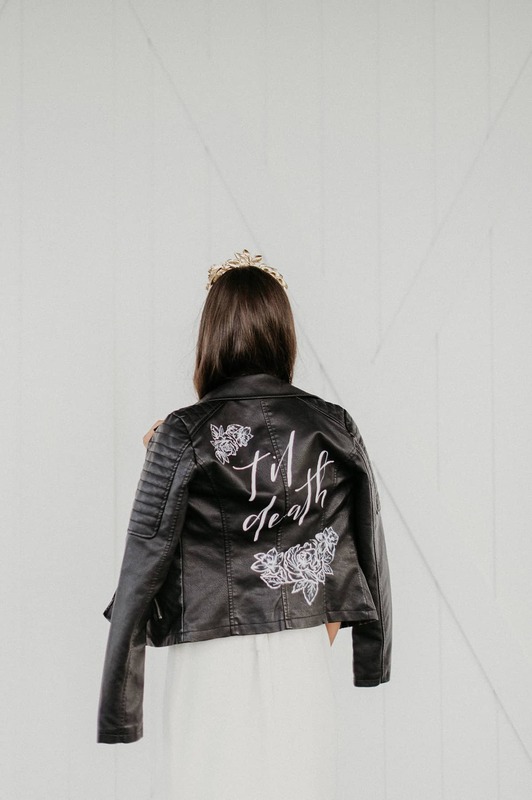 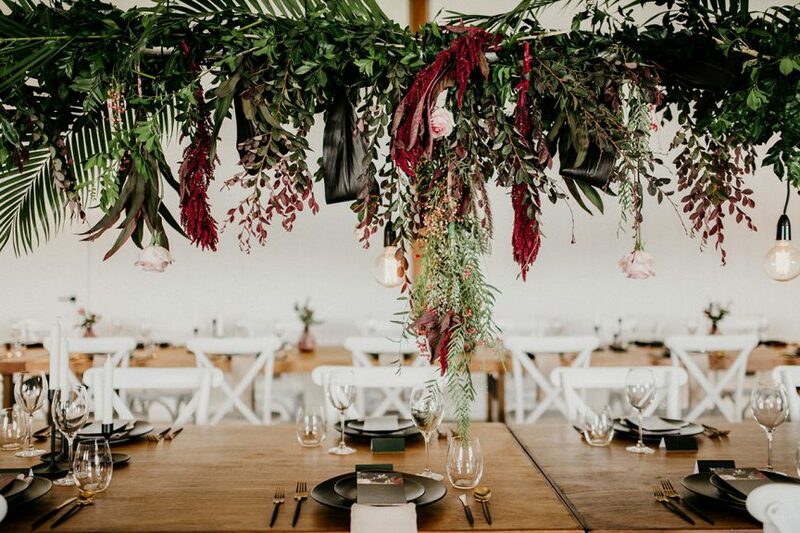 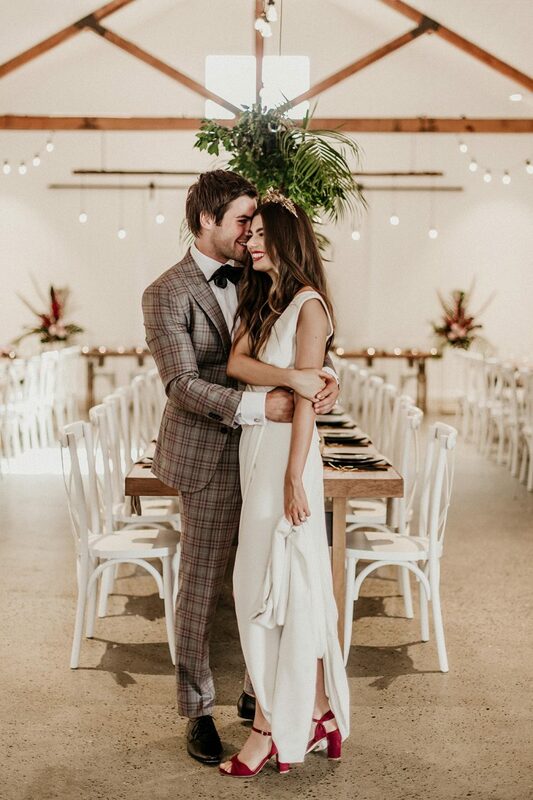 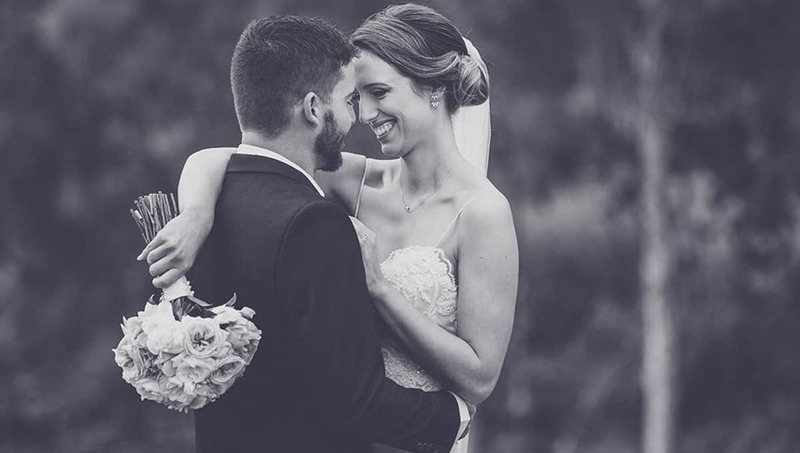 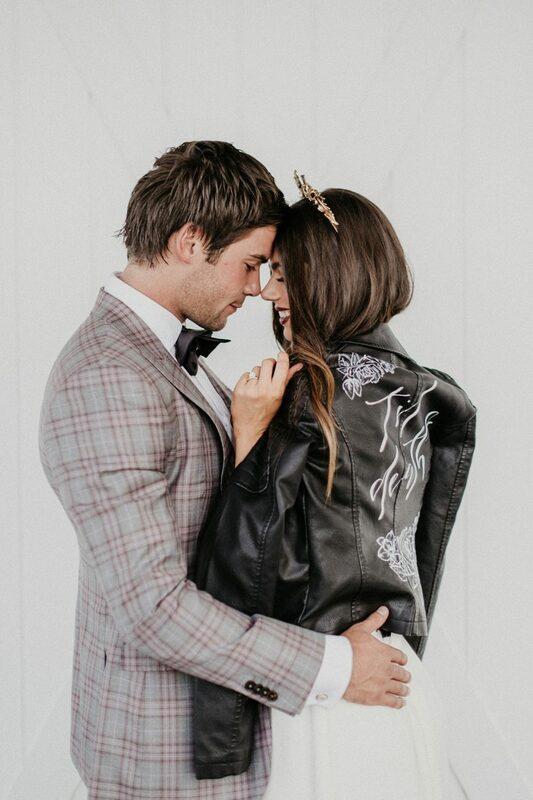 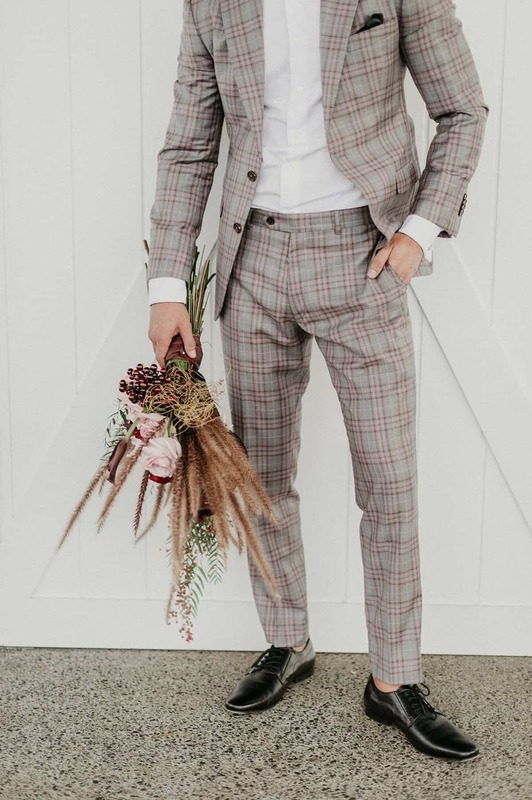 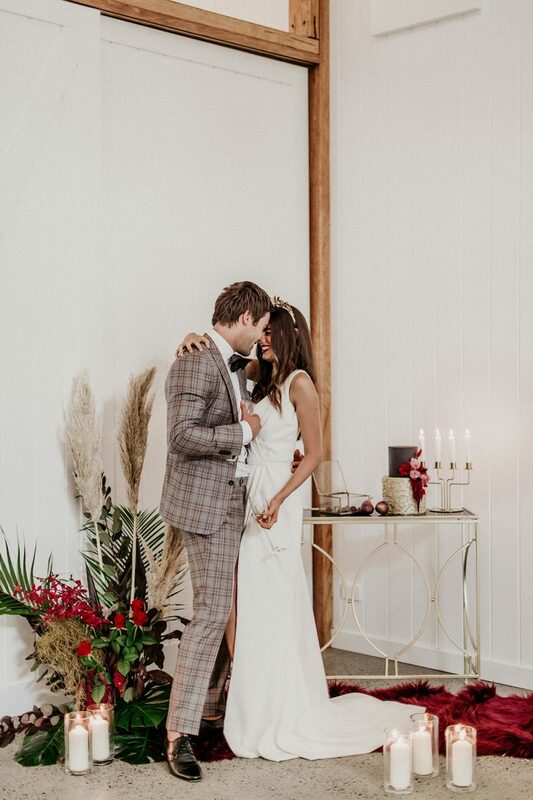 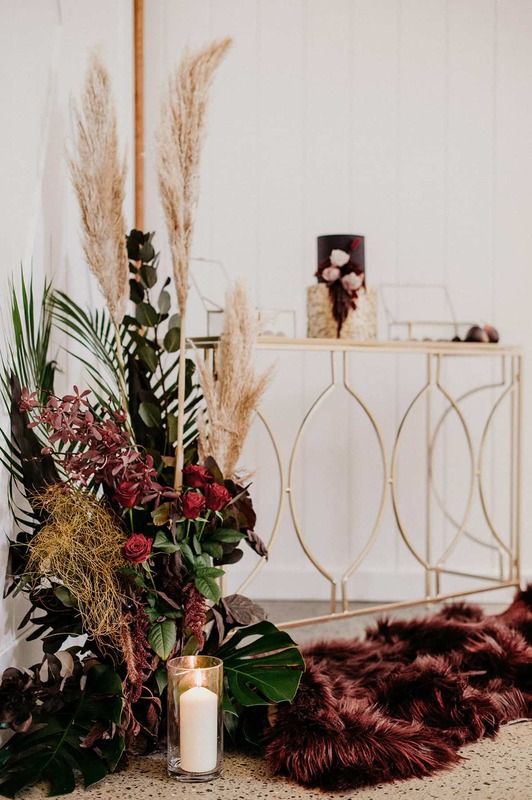 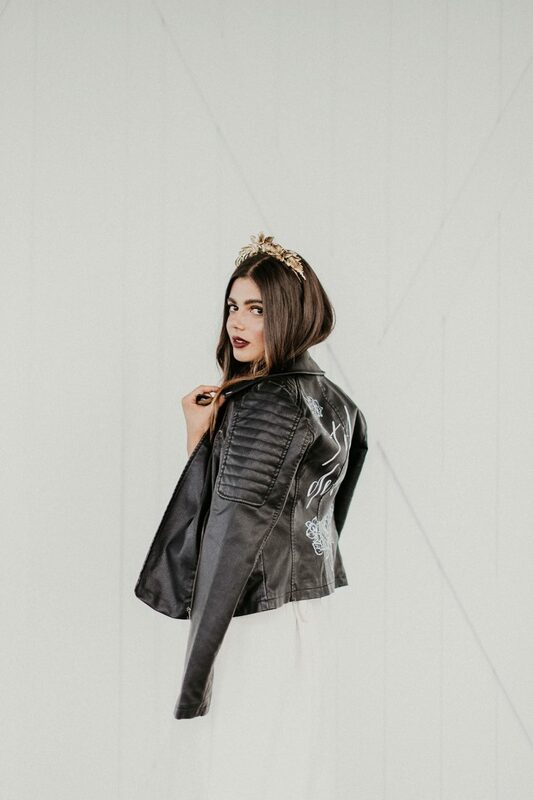 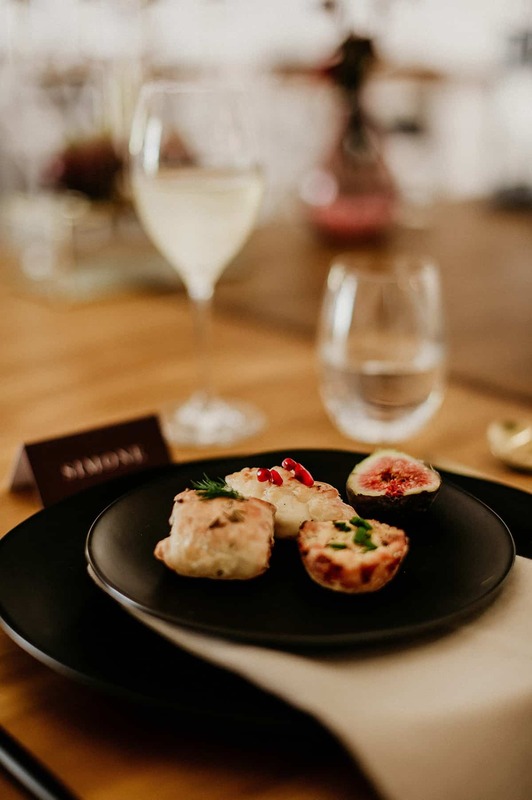 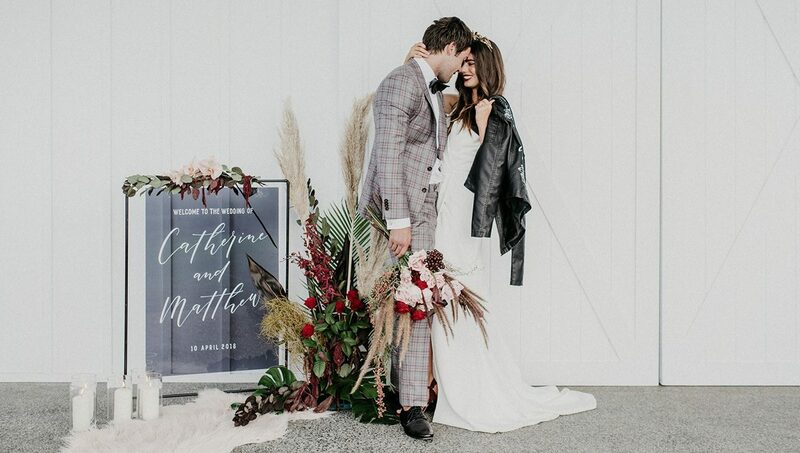 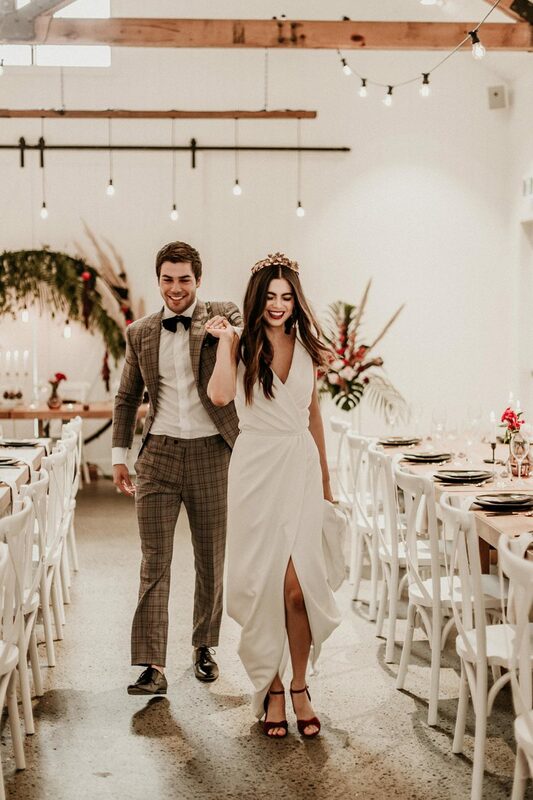 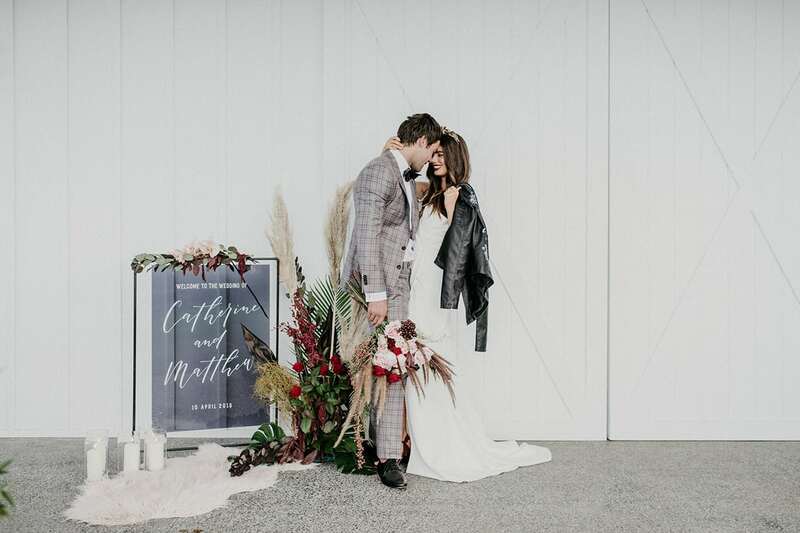 The picturesque property recently launched its modern take on the traditional barn, capturing the attention of JJ Style Co creative directors Jenna and Jamie-Lee. 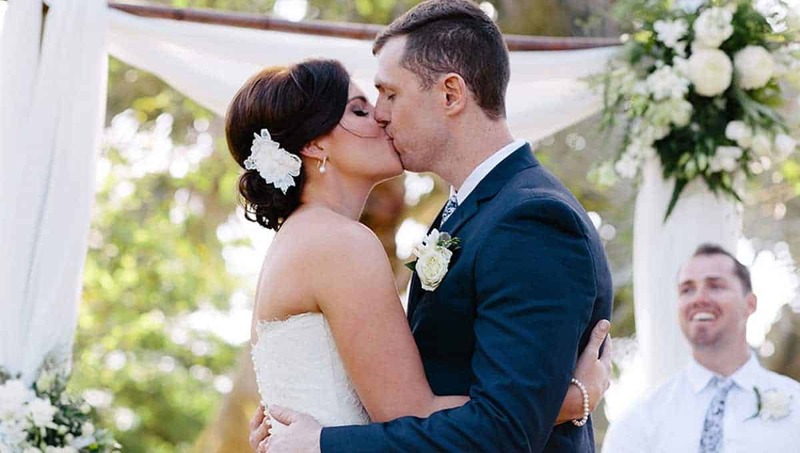 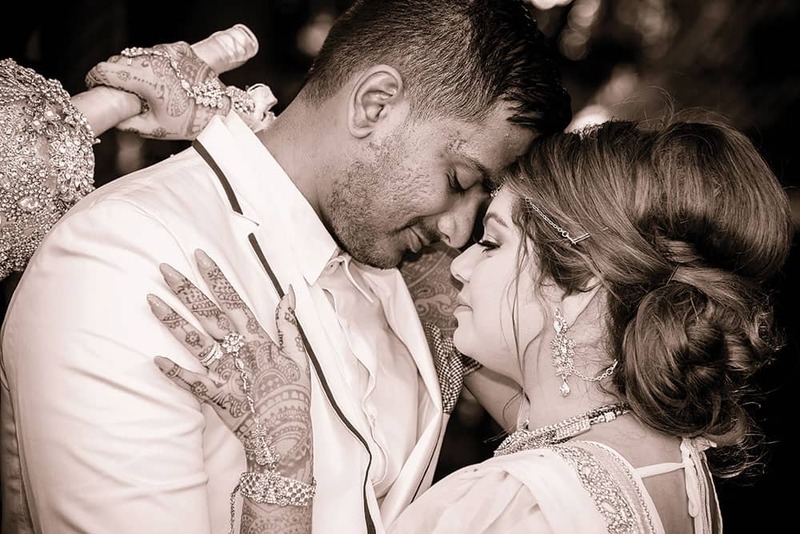 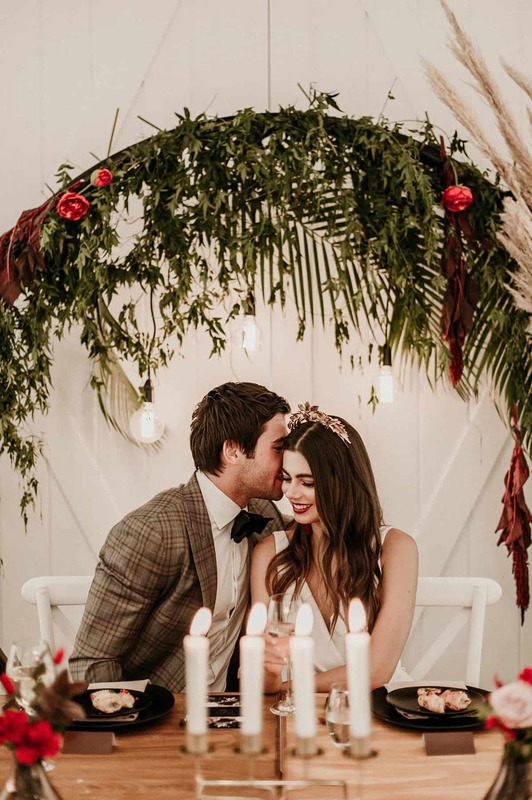 With a talented team at the ready, the stage was set for these skilled event specialists to bring their romantic vision to life. That gasp-inciting ceremony arbour subtly echoes the undulating hinterland views beyond and frames them perfectly in its organic, dreamcatcher curves. 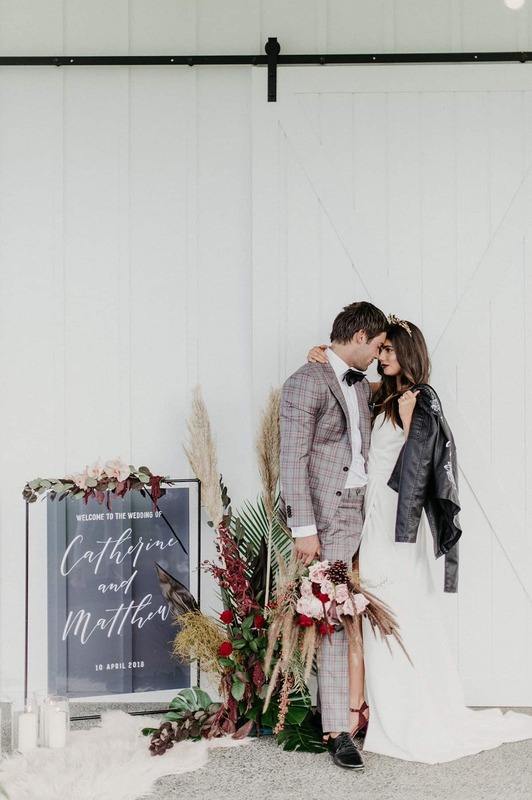 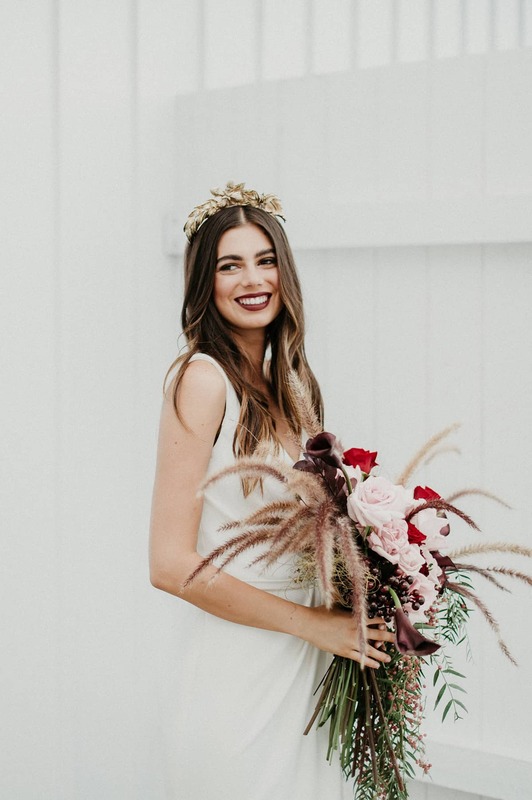 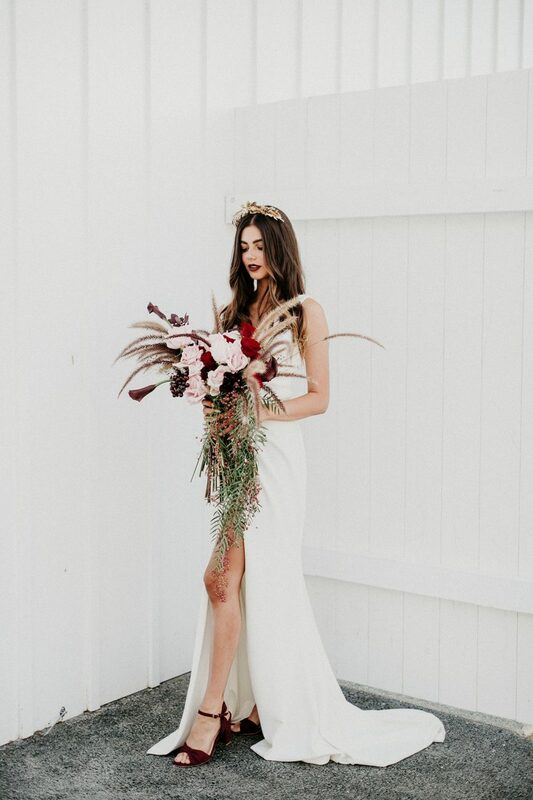 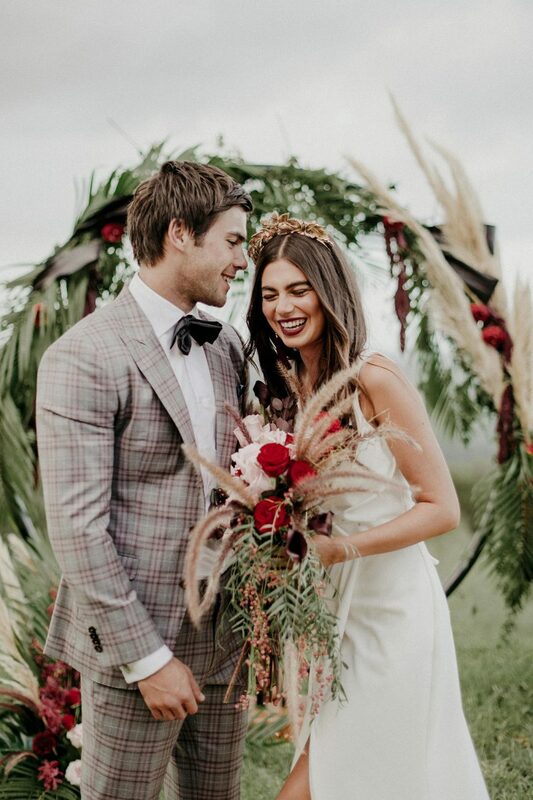 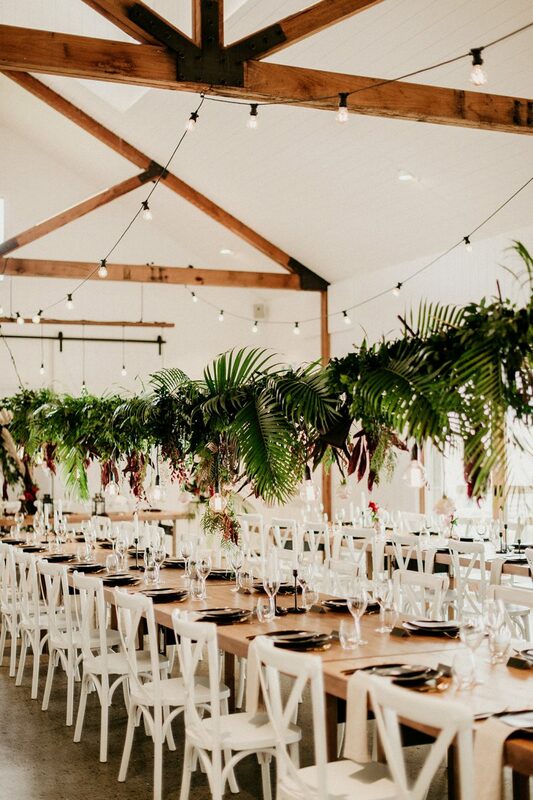 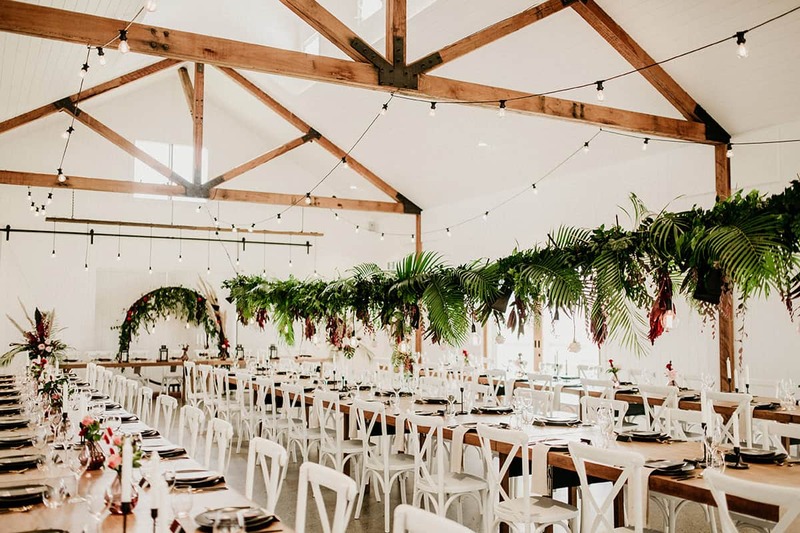 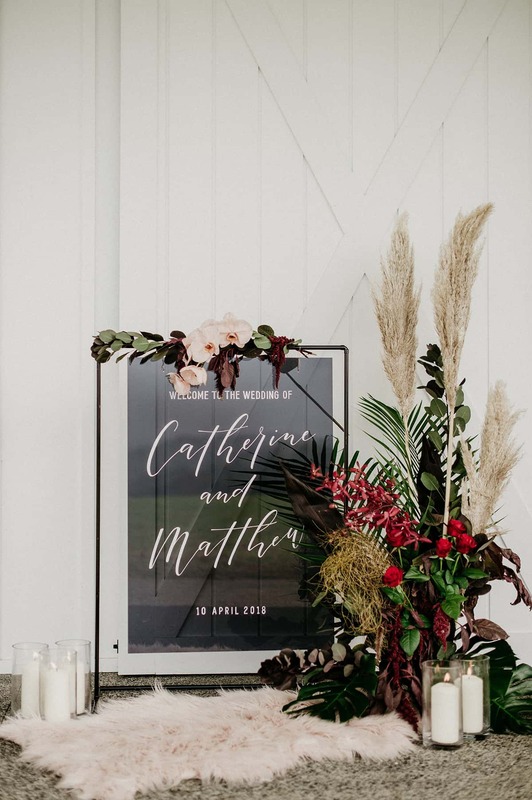 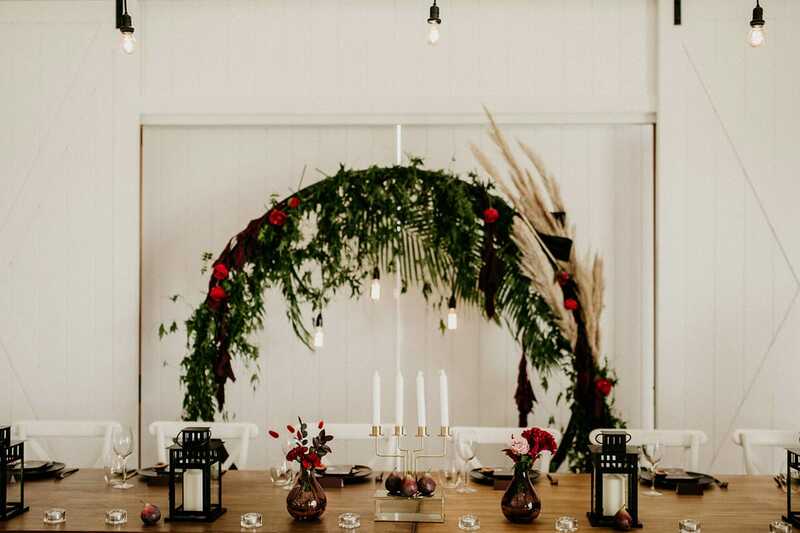 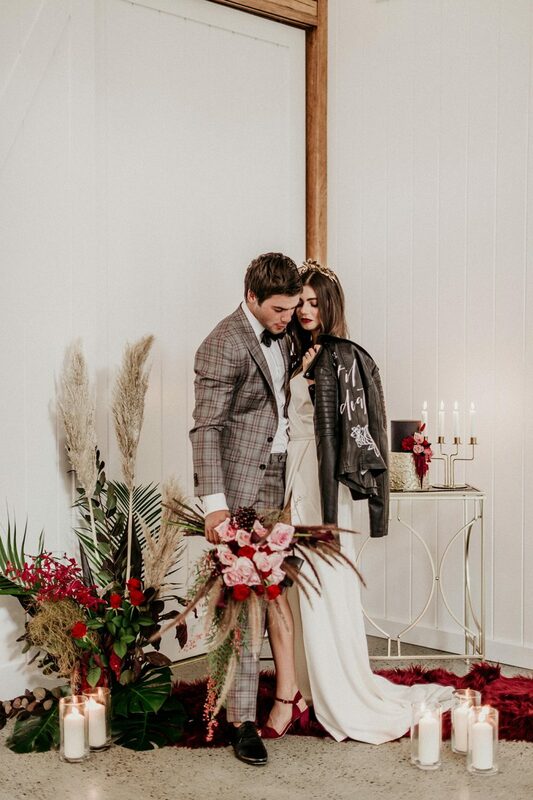 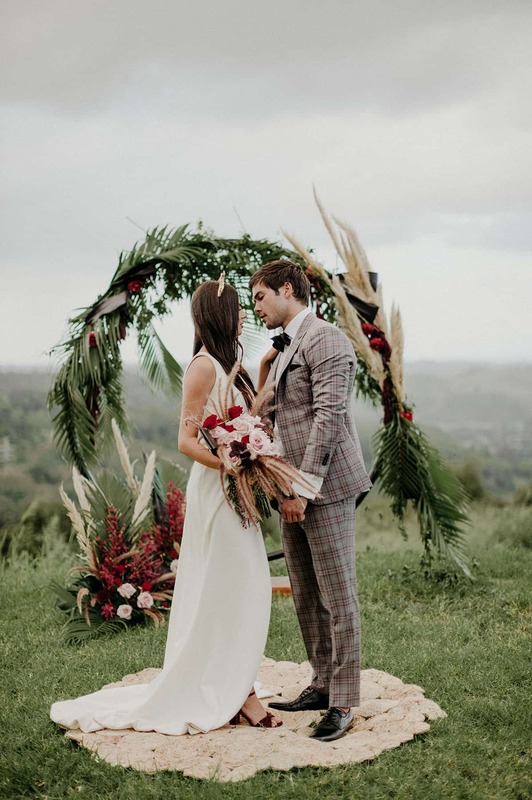 The bohemian look is enhanced with delicate palm fronds, roses and soft grasses – a mix that’s echoed in the barn’s interior, where the ‘circle of love’ does double duty as reception décor. 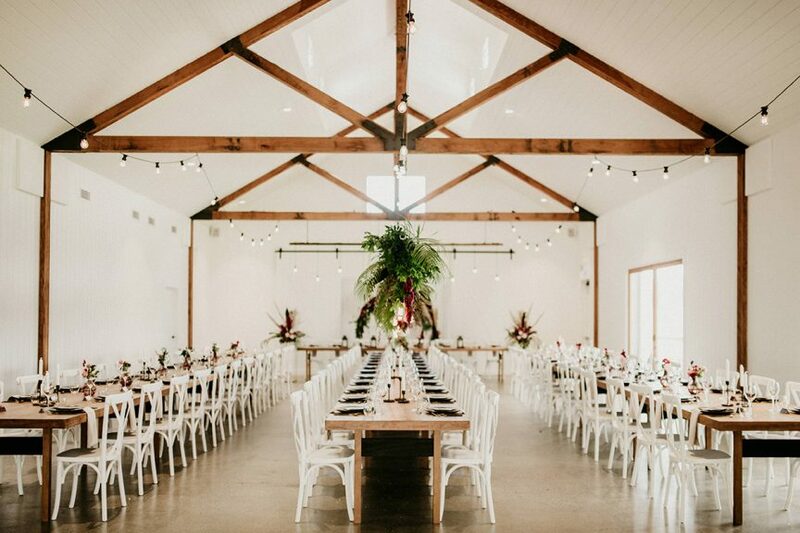 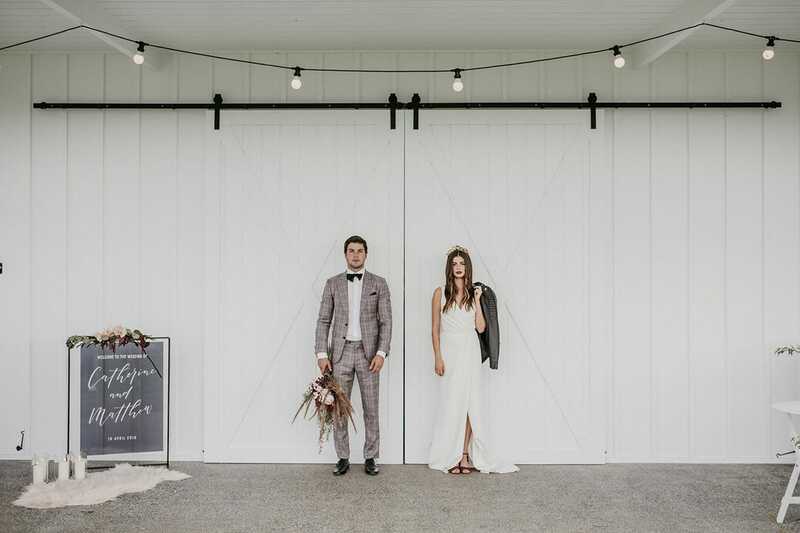 Jenna and Jamie-Lee’s goal was to transform the blank canvas barn into a magical scene, showing off its soaring ceilings and exposed beams in the process. 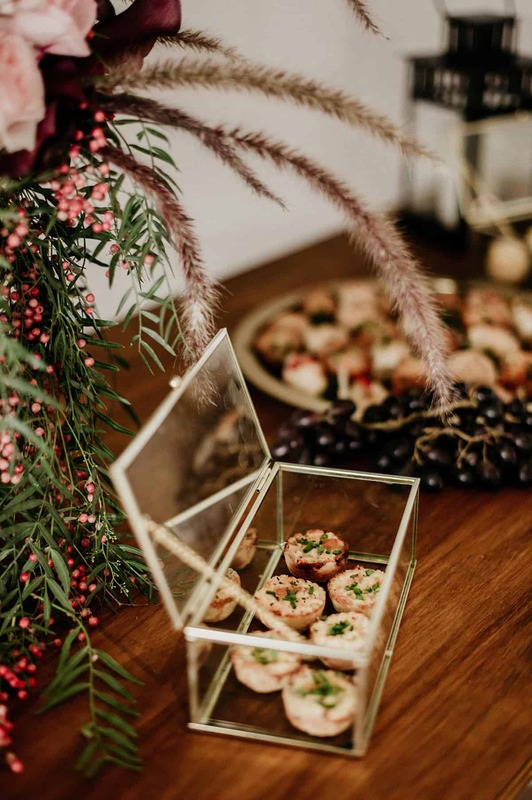 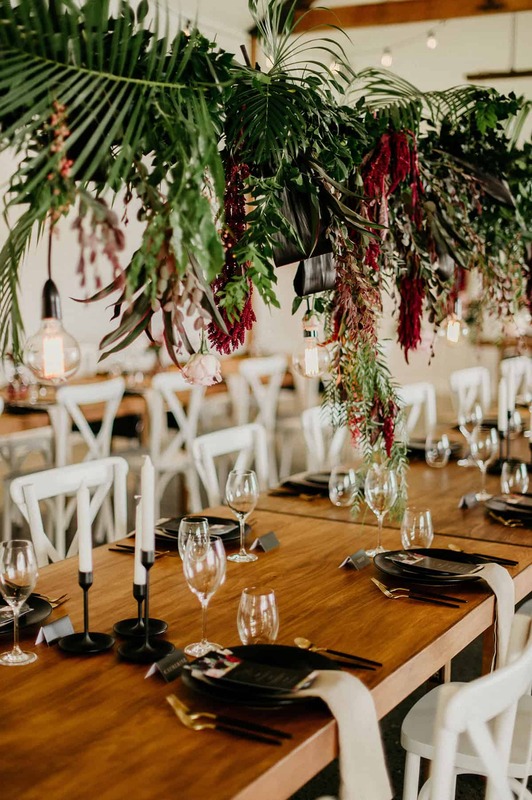 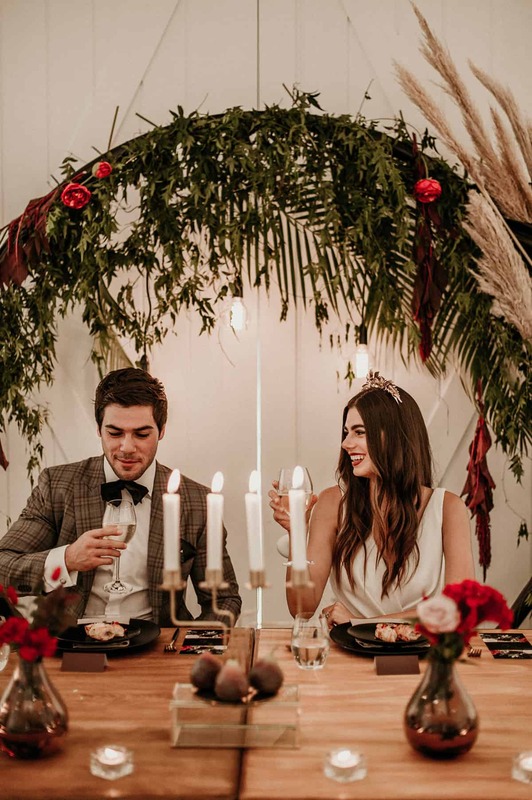 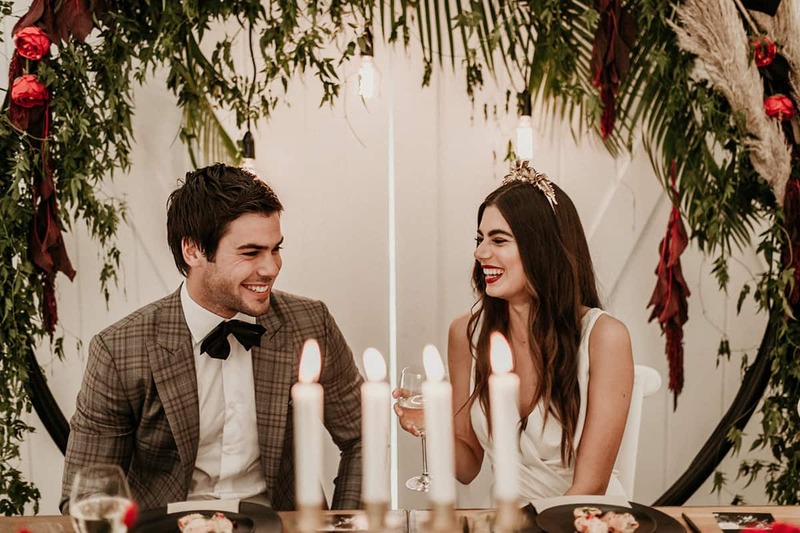 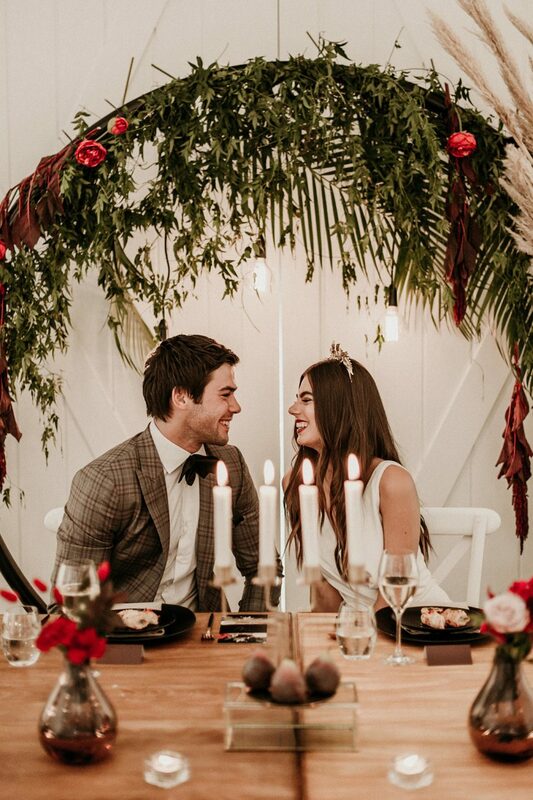 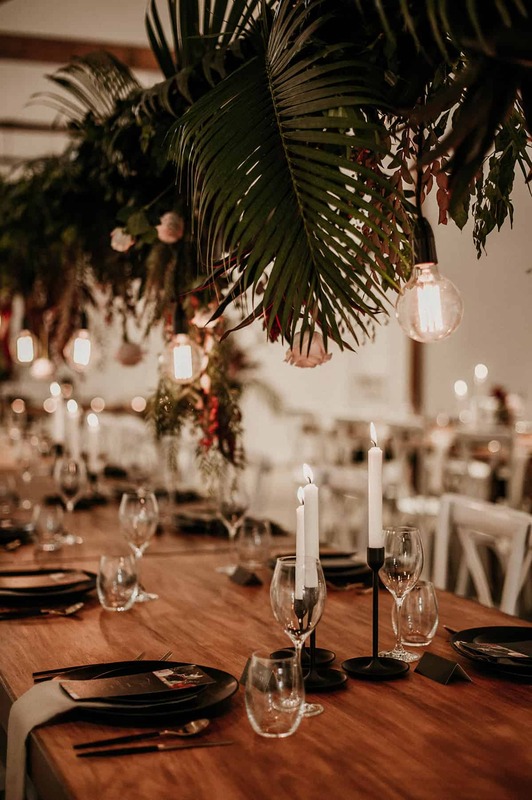 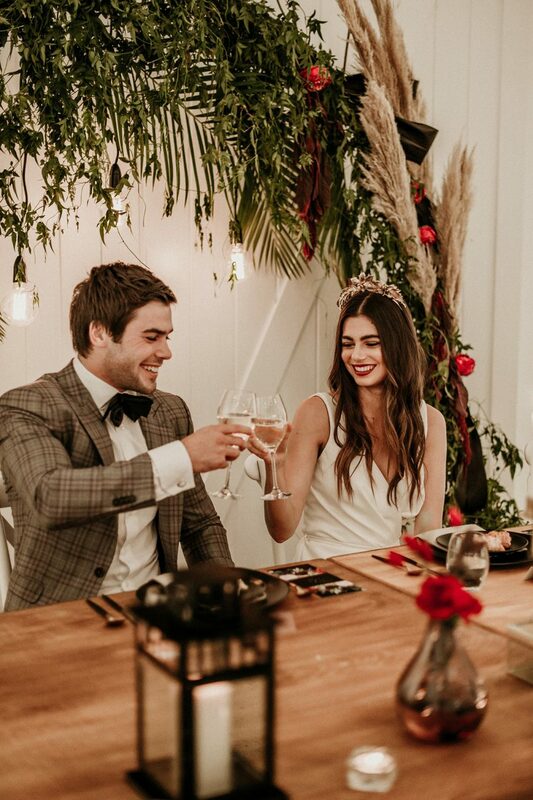 Bringing together flickering candlelight and softly glowing bulbs with lavish table settings and living ‘chandeliers’ of fresh foliage and blooms, the spell was cast. A fresh, nature-inspired base of white, green and timber allows breathing space for a layer of opulence to shine. 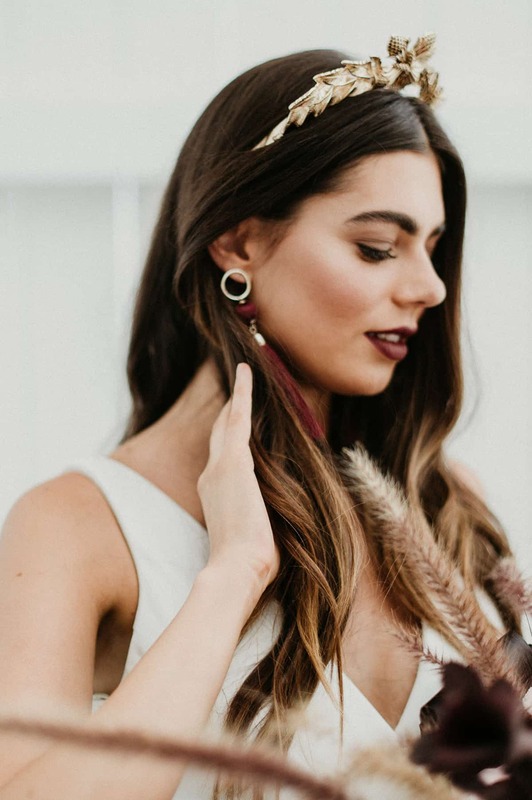 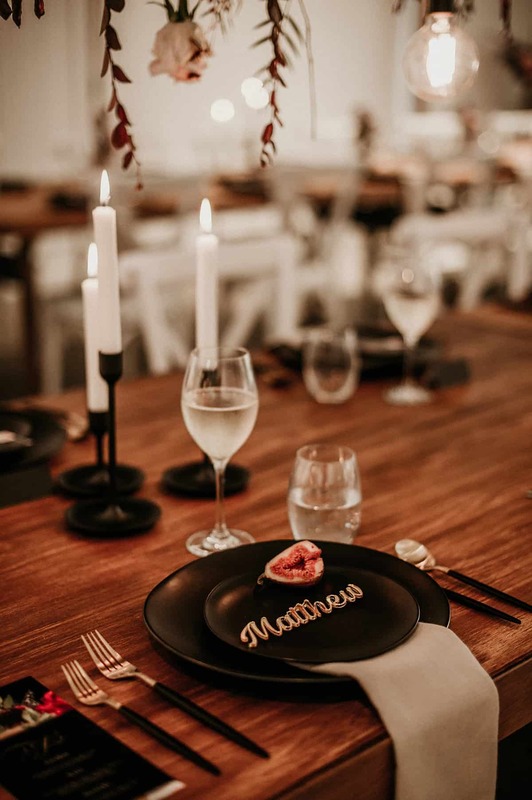 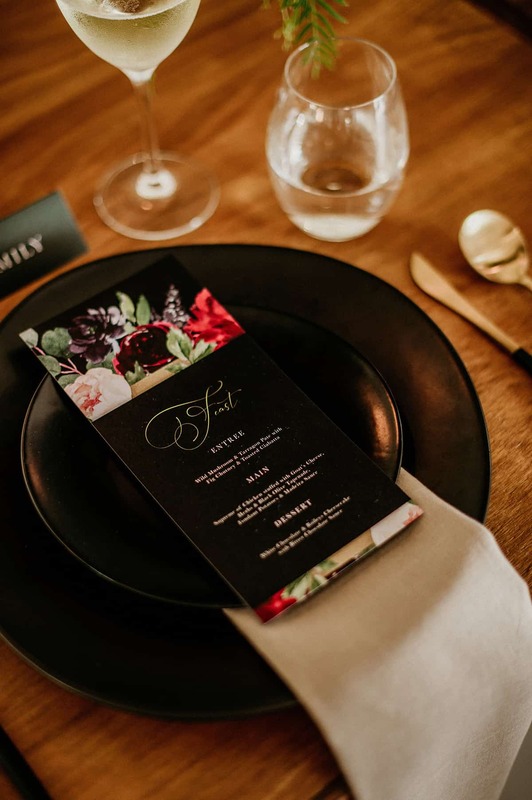 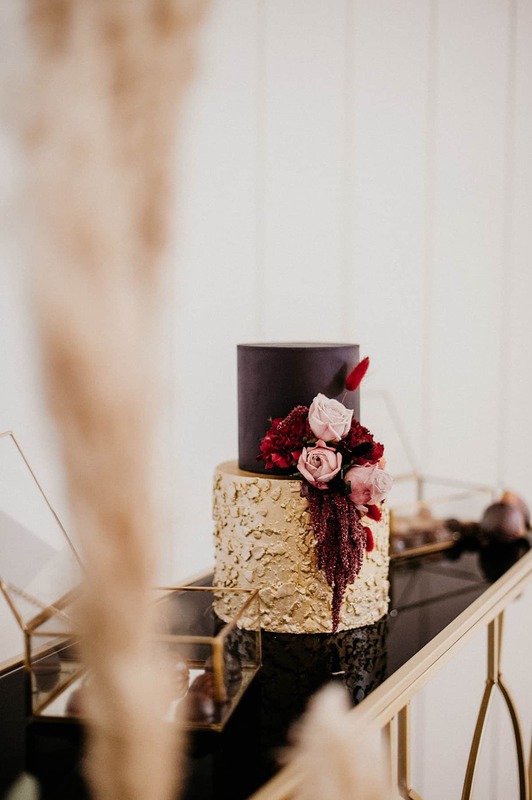 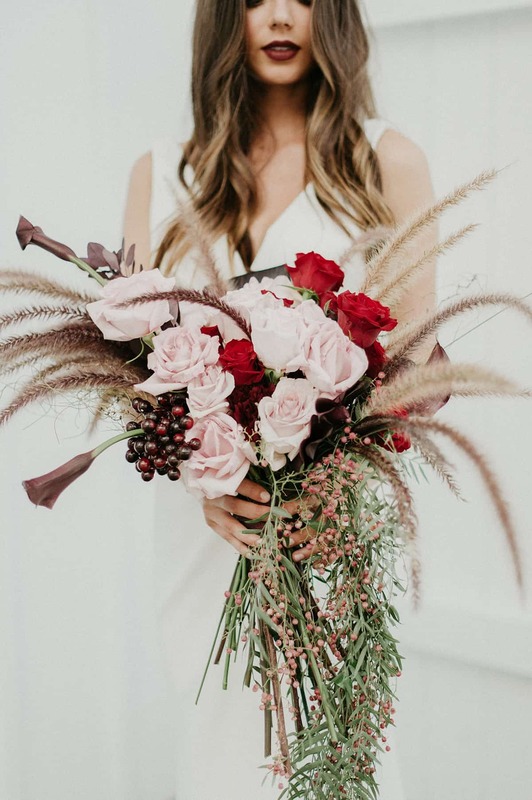 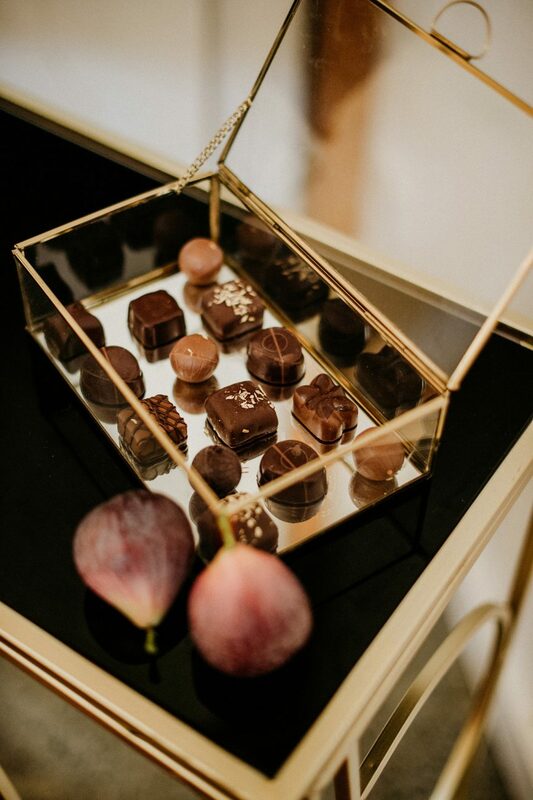 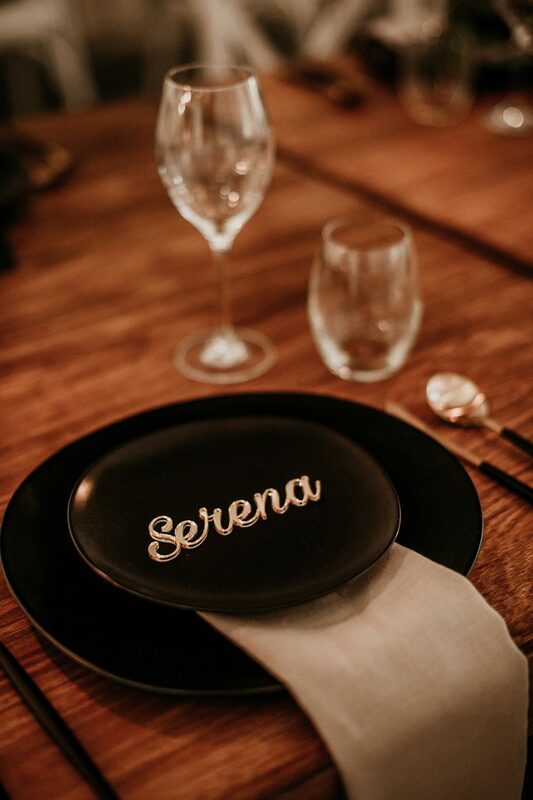 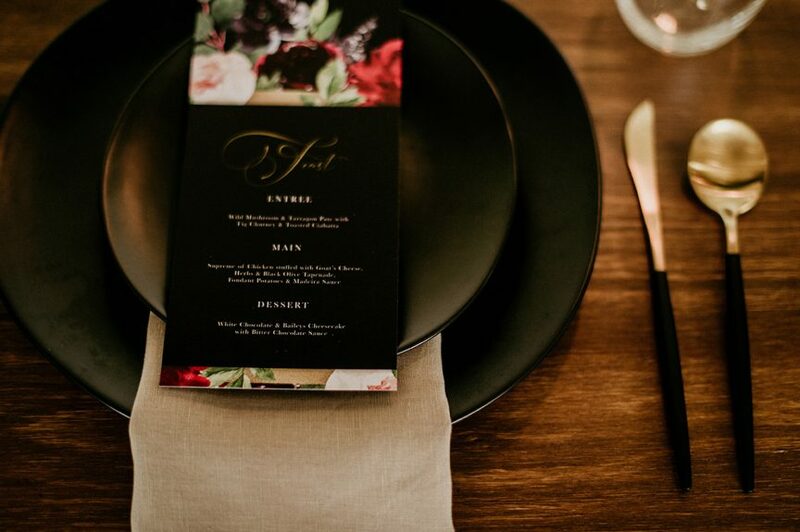 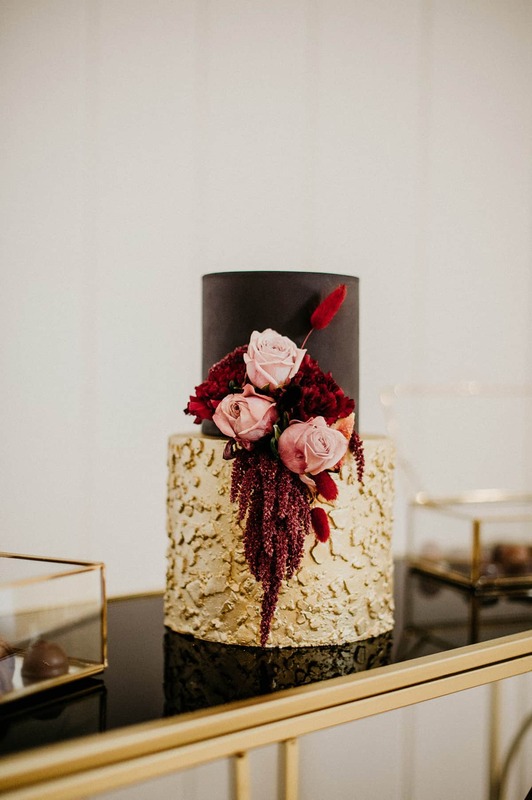 Matte black tableware is deeply luxurious while sumptuous burgundy pulls focus in floral accents, stationery and our bride’s perfect pout, tassel earrings and lust-worthy ruby slippers.